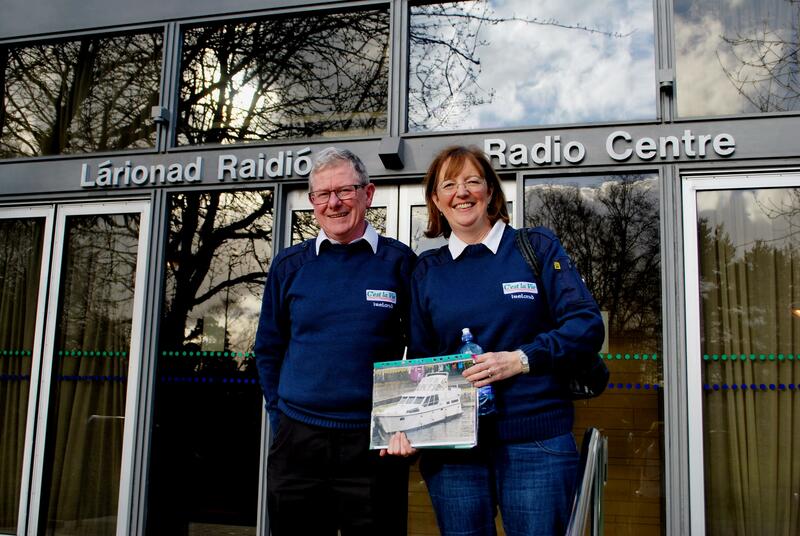 Yesterday, Nuala and I were on the Derek Mooney Show to talk about our Gap Year. It was an interesting experience as neither of us had ever been interviewed on live National Radio before. So our Gap Year has brought us another adventure. It is interesting how things keep coming together for us. If you remember a previous blog on the Train Journey to Sligo, I met a PR man Padraig Mc Keon who suggested we approach a number of radio shows with our Gap Year story. He emailed me the contacts and one of those was the Mooney Show. I sent in an email and they replied. Derek and Brenda were both very open and welcoming and make the whole interview easy for us as we were both nervous. It’s hard to remember to cover all the points you want to communicate but I think we did well. Funny how Nuala thought I spoke much more eloquently than her and likewise I thought the same of her. I did offer Derek to broadcast his show from the deck of our boat in The Arsenal Marina in Paris at the end of May, but he said he was not allowed to travel!! Anyway it was our first time and assuming we get more interviews, we will learn as we go along. If you click on this link you can hear the show here. Derek was very interested in the fact that both of us are Vincent de Paul volunteers (that’s how we met) and that Nuala works there. 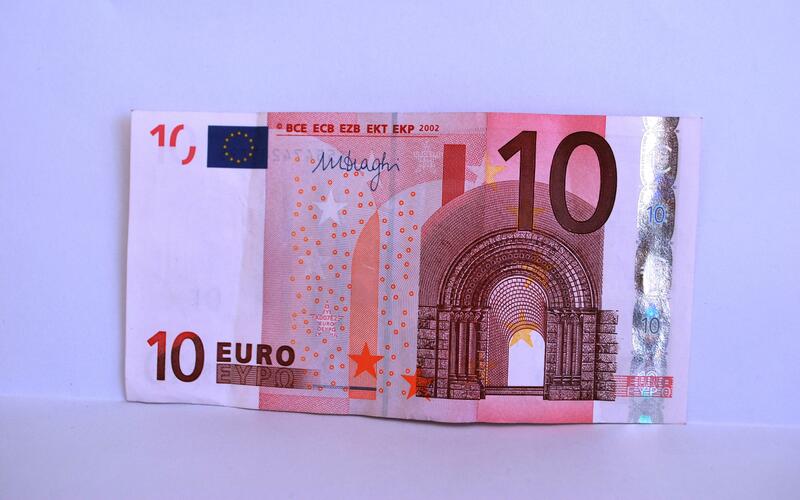 When he heard that we were doing a fund raiser for SVP on our blog site, he insisted on giving us a € 10 for the first kilometre. 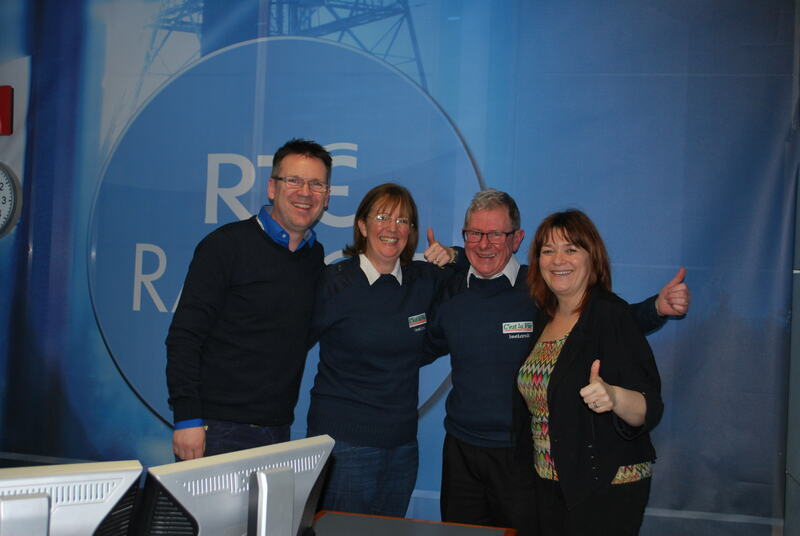 Thanks to Derek, Brenda and all the team in RTE for making us feel so welcome. We had a great time. Maybe we will become famous. Do you think I should look for an agent? This entry was posted in C'est La Vie - The Boat, derek mooney show, Getting Ready for Gap Year, People We have Meet on the Gap Year and tagged derek mooney. Bookmark the permalink.